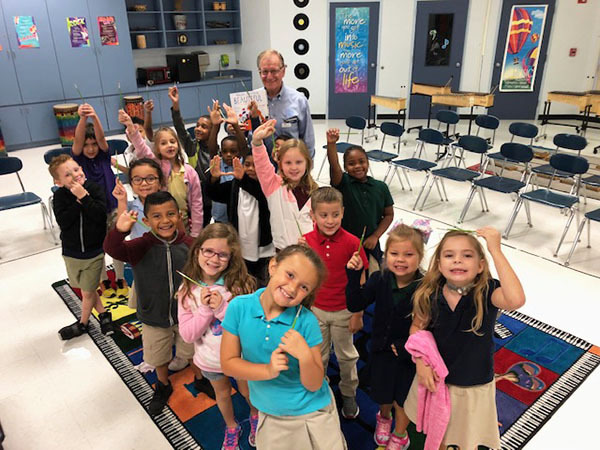 Several members of the Royal Palm Beach Village Council, village staff and the Royal Palm Beach Rotary Club read this year’s Jump Start Program book Maybe Something Beautiful to students last month as part of the annual Read for the Record nationwide program. On Oct. 25, thousands of volunteers read the same book to thousands of pre-K, kindergarten and first-grade students. Communities in Palm Beach County competed to see who would have the most volunteers reading to the most kids. Shown above is Royal Palm Beach Councilman Jeff Hmara reading to students.